There is hunger in the land and these statistics prove it. 33% of Nigerian children under age 5 are stunted. Out of these, 50% of children in the North-East and North-West are stunted and malnourished while 30% are stunted in southern Nigeria. 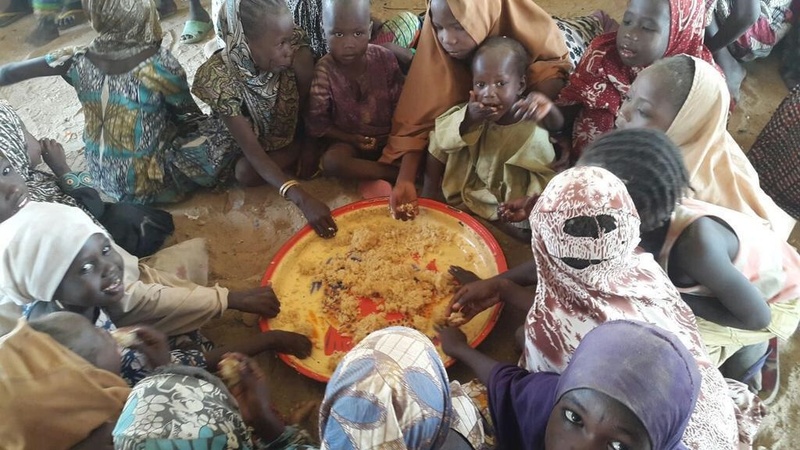 A sad turn of events in the wake of Boko Haram insurgency in Northern Nigeria has left thousands of families homeless and without means of livelihood. These statistics are the outcome of a research by an international non-governmental organisation, NGO Global Alliance for Improved Nutrition, GAIN. GAIN Country Director, Michael Ojo, who said this in Abuja last week explained that Ghana had the same figure of stunted children 10 years ago, but the situation had improved to about 18%. He stated that his organisation is assisting the Federal Government to design and deliver food-based policies and programmes to improve the consumption of safe and nutritious meals. Ojo added that the group is involved in food fortification, workplace nutrition initiatives, complimentary feeding, marketplace for nutritious foods, programmes to promote demand for healthy foods and post-harvest loss alliance for nutrition.